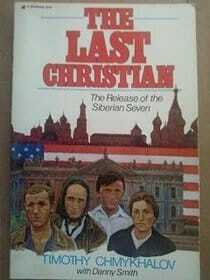 The Siberian Seven: Escaping Religious Persecution in the U.S.S.R.
From its inception, the Soviet Union became the first state in the world to actively attempt to eliminate religion from society. Religion was viewed by Soviet leadership as counter-intuitive to scientific reason and as a threat to the consolidation and exertion of state power. 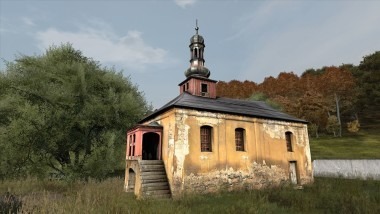 Correspondingly, under Soviet religious policy, tens of thousands of houses of worship were closed, spiritual leaders were exiled and persecuted, and the faithful were subject to harassment. While the Kremlin targeted all religious organizations, Pentecostalism, a strain of evangelical Protestantism that had accumulated a small but rapidly expanding base throughout the twentieth century, was considered particularly problematic. Believers were known to receive twenty-year sentences during the gulag period, while many were committed to mental hospitals in the years following the Second World War. Tired of unrelenting persecution and waiting for their asylum paperwork to be accepted, a group of Siberian Pentecostals decided to risk their lives and storm past Soviet guards towards the American Embassy in Moscow in June 1978. Known as the “Siberian Seven,” the Pentecostals lived in the embassy basement for five years, waiting for safe passage to the United States while the world watched. 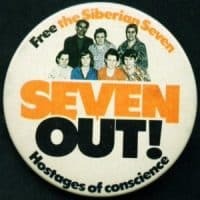 The Soviets allowed them to leave on June 27, 1983. Wayne Merry, a Consular and Internal Political Officer in Moscow from 1980-1983, discussed the challenges of working with the Pentecostals and the frustrations of negotiating with the Soviets in an interview with Charles Stuart Kennedy in February 2010. Wayne Leininger, a Consular Officer in Moscow from 1980 to 1984, elaborated on the history of the Pentecostals’ experiences of persecution, their collective mentality towards working with the Foreign Service Officers, and the families’ dynamics in an interview with Michael Mahoney in February 2004. 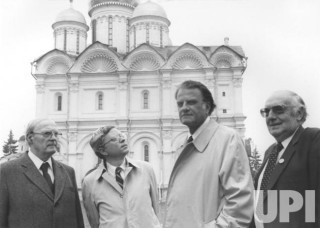 Thomas R. Hutson, a Consul General in Moscow from 1978 to 1980, commented on the religious convictions of the Siberian Seven and his experience preaching about the asylum-seeking Pentecostals at a church service in Dallas, Texas, in an interview with Charles Stuart Kennedy in April 1999. Finally, Eileen Malloy, a Consular and Science Officer in Moscow from 1979 to 1982, addressed how the Siberian Seven were eventually able to accelerate the asylum-seeking process, in an interview with Charles Stuart Kennedy in November, 2008. 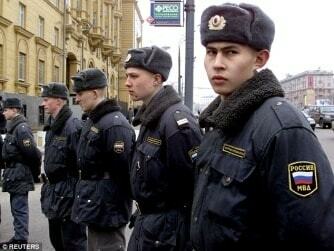 To read more about the Soviet Union and Russia, religious persecution or asylum-seekers, please follow the links. MERRY: ….We also had—and this was particularly my responsibility during this year seven Soviet citizens who were living in temporary refuge in the embassy…. They were the so-called “Siberian Seven,” seven members of two families of Pentecostals from a city named Chernogorsk in Western Siberia. This was a very highly publicized case in the United States. The responsibility for this case, and for the actual care and feeding of these seven individuals, rested with me. I spent a lot of time with them and found them both deeply sympathetic and frustrating to deal with. These people had become, in many respects, reflective of the Soviet system that had oppressed them. Pentecostals had been subject to all kinds of Soviet pressures, repression and discrimination, and because of that experience they were intensely suspicious people. Suspicious of everyone, including the American Embassy which was giving them temporary refuge, and much of that suspicion came for a time to focus on me. It was my job to tell them the truth that their migration desires could never come to fruition as they wanted but only by compromising with the realities of Soviet emigration procedures. What made the case especially difficult was that it was not about seven people; it was, in fact, an immigration case of 29 people, because the size of the two families was 29. Only seven of who were at the embassy at Moscow. The other 22, from two different families—and the two families were often not on speaking terms—were back in Chernogorsk. 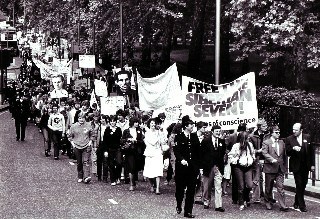 The seven were not interested in simply emigrating from the embassy to the United States. They were not willing to leave either the Soviet Union or the embassy without all of their family members. Many people in the United States did not understand that this was not about seven people; this was about 29 people. Relations between the families were often quite tense, and their relations with the embassy were also tense. The Soviet authorities would not even talk to us about this case. As far as they were concerned, the solution was for the United States to throw these people out of the embassy and for them to go back to Chernogorsk and apply for exit permission. Well, they had been applying for exit permission for decades, literally decades. They had in fact been to the embassy several times before, over a period of many years, seeking help in getting out of the Soviet Union. The case, happily, was successfully resolved, but not during the period I was in the Consular Section but a year later, after I’d moved to the Political Section. It finally did involve the families going back to Chernogorsk. This was after the change in U.S. administrations and some fairly high-level negotiations between the early Reagan Administration and Soviet authorities, which met the Soviet requirement that these people could not emigrate directly from the embassy, that they had to go back to Chernogorsk. There were assurances given in Washington, from President Reagan personally, that the United States Government would not embarrass the Soviet Union if it did allow these people to leave. The seven lived in the embassy, in two rooms on the ground floor of the south wing, for almost five years, but they did eventually achieve their goal. A central problem in the early years was simply the publicity issue, which the Soviet authorities were absolutely adamant they were not going to be forced into letting people emigrate through what they saw as a public relations stunt of taking refuge inside the U.S. Embassy. The final compromise involved a promise from President Reagan matched by a commitment from the Soviets that, if the people did go back to Chernogorsk (seen right), then their applications would be approved. Making that all happen took literally years. I contributed about 10 months to that process, but it went on for another year and more before it actually came to fruition. During my time on the case, the gap between Washington and Moscow was too wide to effect a deal. It was ultimately the personal intervention of the new U.S. President that closed the gap, so the Soviets could say, “All we’ve ever said was that these people had to obey our laws and obey our procedures.” That was, in fact, humbug, because these two families had been following the procedures for many years and had never gotten anywhere. It was quite an educational experience for me in the political culture of the Soviet Union. It was a cultural challenge for me to speak with people who were ill-prepared to believe anything they heard from any official, even an American official. I had not previously encountered such a mentality. During one period I had a series of conversations with them about what I came to call the “helicopter fantasy,” when they believed the solution to their case was to get the other 22 family members to Moscow, to come into the embassy, and then the Americans would send a helicopter to land on the embassy roof and they would all fly off to the United States. Of course, they had seen pictures of the evacuation from Saigon and imagined something similar could be done for them. It was quite a job to persuade them that we could not fly a helicopter into the middle of the Soviet Union, land on the roof of the U.S. Embassy and take 29 people off to live happily ever after in the U.S.A.—that took a lot of persuading. I had an Air Force colleague speak to them about it. That was only one aspect of a continuing effort to convince them that we were their friends and champions and not their enemies. That’s what I spent my time doing, dealing with things like the helicopter fantasy. In addition, they did not actually want to go to the United States, which they regarded as hopelessly decadent, but to the Biblical Kingdom of Israel. Not the contemporary State of Israel, mind you, but its Old Testament predecessor. Kind of hard to issue visas for that. LEININGER: All of these applicants were viewed as part of the political contest, a tug-of-war. We also had the case of the Pentecostal families, who had taken refuge in the Embassy, since June 1978. By the time I got to Moscow, they had been “guests” for three years. You will recall that in 1978, eight Pentecostals (two families) tried to enter the Embassy by rushing past the Soviet guards. They wanted to discuss the possibilities of emigrating to the West. They had been persecuted for a period of 15-20 years – thrown into prison camps, denied jobs, etc. They were ethnic Russians from Siberia, but they were evangelical Pentecostals. Now, the Soviet authorities tolerated the Orthodox Church because they had it under control; it had been under the government’s thumb since czarist times and was hardly a threat. That Church had a nice organizational structure, with identifiable bishops and known meeting places. The authorities could easily keep track of the Church’s doings and who was responsible. The Soviets could live with it. But what the state could not tolerate were religions like the Pentecostals, who had no organizational structure, no ordained ministry, no set places of worship, except homes, where they could not be easily monitored. Very difficult to control. So the Soviets cracked down on all evangelical groups. Our “guests” hoped that they could emigrate to the West, but the Soviet guards in front of the chancery turned them away. However, the Pentecostals took evasive actions and finally ran past the guards. That is, most of them made it. One was caught by the scruff of the neck and beaten badly on the sidewalk in view of the seven others. He was dragged off to the militiamen’s box around the corner, not to be seen again. The Pentecostals who had breached the Soviet “security” perimeter entered the consular area and huddled in the waiting room. The ambassador was not in the chancery and I don’t think the DCM was either. Jack Matlock was the political consular – and acting DCM. He made the decision on the spot not to force the Pentecostals out; he judged that they would undoubtedly have faced retribution from the Soviets, having seen one of their number beaten bloody on the sidewalk in front of the Embassy. He decided that under the circumstances, it was perfectly appropriate for the Embassy to offer temporary refuge to these people. ….There were two families, the Vaschenkos and the Chmykhalovs. There were five Vaschenkos: Pyotr, Augustina, and daughters Lyuba, Lilya, and Lidia; and Maria Chmykhalov and her 13-14 year-old son, Timothy (whose book is seen at right). The Vaschenko girls were probably at that time 17 to 21. What everyone thought was going to be a relatively short process of resolving these people’s immigration concerns ended up being a five-year odyssey. That formulation, almost word for word, was exactly what we were told by the Soviet authorities every time we asked for the next five years, exactly. Now, ordinarily to emigrate from the Soviet Union you needed a relative or other kind of sponsor in the West who could file an invitation called a “priglasheniye” that became the basis for your application for exit permission. Absent such a close relative, or absent, when they were allowing it, membership in an ethnic group that might be permitted en masse to leave, such as the Soviet Jews, there was no hope for individuals to emigrate. None, closed case. You just couldn’t pick up and go just because you wanted to; you saw a better life, no, not permitted, “nelzya” – never. You were property of the state. So this advice from the Foreign Ministry, “you should go back to Chernogorsk and apply like everyone else,” was disingenuous, because if they applied like everybody else, the application would get round-filed immediately. 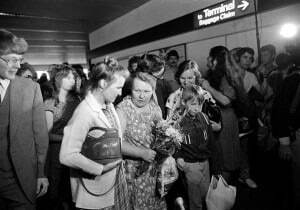 There was no basis for emigration if the Soviet citizen didn’t have a required relationship. The Pentecostals, being nobody’s fools, had not survived 15 or 20 years of persecution, prison camps and everything else just to be shined on by some bureaucrat in the Ministry of Foreign Affairs with some b.s. advice that they knew wouldn’t avail them anything. Embassy officials had put them up in the waiting room; there were no other facilities available to them at that point. 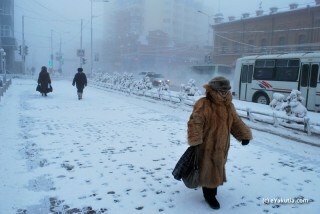 “We can’t go now because we have already left Soviet Union. We left without permission. We are here in America on American soil. But our finely-honed legal position on non-assertion of the principle of extraterritoriality to our embassies was irrelevant to them. In their minds, and arguably in the minds of the Soviet authorities, they had in fact left the Soviet Union without permission. This itself was a criminal offense, and they would be sent back to prison. So that provided, by the second day, a longer lasting reason for them not to leave. Having once committed that sin, they could not leave the Embassy. So an attempt was in fact made to talk them into going home. They declined to go. They declined to go for the next five years. ….Very shortly thereafter a tactical mistake was made by the Embassy leadership that was to reverberate to our discredit for the next two-and-a-half to three years. That was, to cut off access to the families to anybody except a designated few within the Embassy hierarchy. No other Embassy staffers or well-wishers, no co-religionists, no visiting journalists, nobody visiting from the West, was allowed to have access to the families. They were in effect kept in a quasi-isolation status. They were in two, side-by-side courier apartments, one to a family. 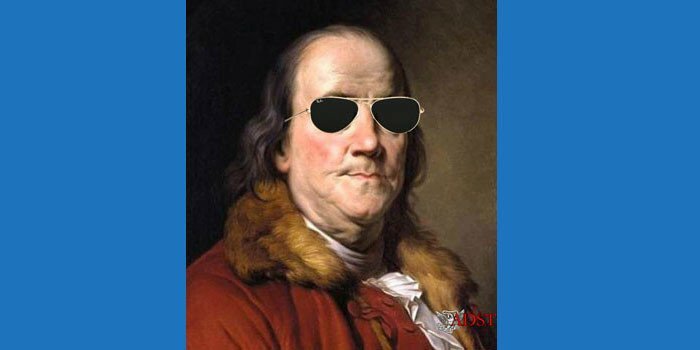 The apartments on the street level of the Embassy, with windows that looked out on the sidewalk, but the apartments themselves were semi-sunk….Out of [consular emergency fund] came their food, their clothing, and educational expenses, for books that were purchased for them. But still, in essence, they were denied access to the outside world, and the outside world was denied access to them. [This] was apparently intended as a form of psychological pressure, not to make them too comfortable, to get them to make the decision to go back home. Well, instead, in a very short period of time, we became the enemy. The United States government became the enemy of these people. ….You ended up having large human rights and religious rights organizations in the United States and around the world in support of these poor beleaguered people, who were being harassed and persecuted not only by the Soviet Union, which was expected to be horrible, but by the Americans, who should be acting on their behalf, but instead were acting as their jailers! It was impossible to keep everybody within the Embassy community away from their wing of the compound. So there were leaks, and there were Embassy staffers who were sympathizers, who disagreed with the Embassy’s policy, who were sharing information with the outside. So that was the situation. Three years down the road, Curt Struble, who was to be my deputy, preceded me to Moscow by a few months. Curt got there in April and I got there in June or July. We walked into this thing, and we discovered that we were the bad guys! The consular assistants, who attended to the day-to-day needs of the families, were regarded as their guards. We eventually had to spend a year and a half, easily, attempting to overcome that long history of mistrust, suspicion, and downright hostility. We found that the families would not take at face value any good advice that we might give them about what course of action to take, where do we go from here. So we rethought our policy. In six months, Curt and I had many discussions on this, Curt often taking the lead. There was no more finger-pointing about us being the bad guys. We are now looking at working with the groups and families that were supporting the Pentecostals, attempting to find a solution to this problem. In fact, every time we had a visit from the Secretary of State or a major administration official, human rights in general and or the Pentecostals in particular were always up there as number one or two on their agendas, every single time. Other visitors came. The Reverend Billy Graham (seen left) came. We briefed him in advance; we tried to warn him that if he went in and to have a prayer session with these folks regarding them as meek and mild, hold your hands, bow your heads Christians, they were going to eat his lunch. They were going to put him and his whole organization on the spot. He got in there, and within 5 minutes his face was pale. He was sweating. He couldn’t speak in a complete sentence. I have never seen anybody so otherwise self-possessed become so thoroughly discombobulated before. But then, he had never met anybody like these people before. ….I had been exposed to Pentecostal Christians in other parts of the world. They are essentially strong believers in their faith….They were convinced that anyone who entered their room – and there were many who wanted to help and talk to them – had been sent by God to help them. So they trusted all their visitors. We had other devout believers who came from the U.S. to see them. Among the seven were three teenage daughters. We even heard that some of these people might try to impregnate them so that the children could be born on U.S. territory and therefore be able to claim American citizenship. That, some thought, would have increased the humanitarian rationale for letting them emigrate. Then of course we had major attention from the press. I remember one time when Dan Fisher, the correspondent for Los Angeles Times, wrote a scurrilous piece suggesting that we had deprived the Pentecostals of a Christmas tree and toilet paper. We did try to prevent these people from receiving items that might be considered illegal or contraband by the Soviets. They didn’t have diplomatic privileges so we tried to stick by the rules as much as we could. But the newspaper article was completely false and even though I was very friendly with Dan, I told him that I thought he had done a terrible thing. So these people were a major workload for the embassy. ….After I left the Foreign Service, I moved to Texas. There I ran into one of the organizations that criticized us the most for the way we handled the Pentecostals. It was called “Christ for the Nations Institute,” headquartered in Dallas. The Vashchenkos and Chymykhalovs have a worldwide following, particularly in Switzerland and the UK. During the 1978-83 period, they wanted to know why we cooperated with those God-hating heathens – the Soviets. They suggested we put the seven into diplomatic pouches and fly them out that way. So when I was living in Houston, I called the executive director of this organization – a woman by the name of Freda Lindsay. I called her in 1982 on the fourth anniversary of their asylum, which this organization was celebrating. Ms. Lindsay invited me to come to Dallas; she said she would give me three minutes to speak in their celebration program. She didn’t realize that I was a former gospel singer. I had also done a fair amount of preaching in my life. So I took 33 minutes. I may not have spoken “in tongues” but they did tape my sermon and sent me a copy. I have never let anyone else listen to it; it was so far out of my normal speech that it would almost unrecognizable….It was a unique experience. MALLOY: Over Voice of America we of course had been broadcasting U.S. government views for years. 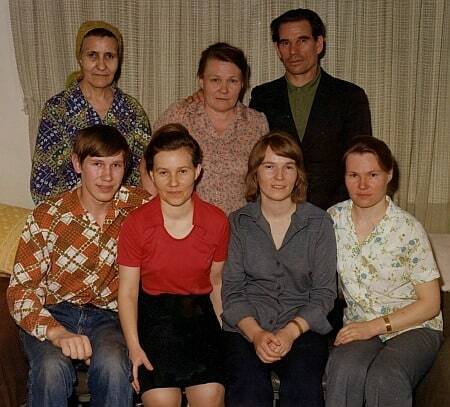 A group of fundamentalist Pentecostals who lived out in Siberia had very much taken to heart the U.S. message that we want to help Soviet citizens. So this group, who had repeatedly tried to leave the Soviet Union because they were being persecuted for their religious beliefs, had been repeatedly denied exit permission, decided that they would come to the U.S. embassy for help. And their plan was to rush past the Russian guards who physically controlled who could come in to the embassy, and just stay, take up residence in the embassy until they got exit visas. ….When I arrived in Moscow they were living in the TDY apartment, and the media, U.S. media, was criticizing us keeping them in this “dark horrible apartment,” supposedly akin to a dungeon, which, of course, had been assigned to Foreign Service officers before their arrival. On my second tour at Embassy Moscow, this same apartment became my office space. So we didn’t take kindly to media characterizations of their apartment. They remained at the embassy as we made representations asking that they be allowed to leave the Soviet Union. They did eventually get out. That in itself was a long story of how they got out. ….It was felt that if the U.S. government supported them that would only harm their case, and their family members were being tormented and accused of being spies. So they wrote a book, and the book was sold out West in the United States and other places. That generated revenue and that revenue was disbursed to them and that’s the money that was used to buy their food, clothing, etc. But they could never leave the chancery grounds. They’d never get back in again so their whole world was restricted to that miserable little compound. ….The children grew up over the years. I forget how old they were. But I guess the youngest must’ve been about 20 when they left so she was about 15 when they came in. And the boy was about 21, 22 when they eventually got out. There was a romance between the youngest girl and the boy supposedly, but when they all got the United States, they ended up going their different ways. About five years into all of this, the oldest daughter went on a hunger strike including no fluids so she rapidly deteriorated, and at one point either she had to be hospitalized outside of the embassy compound or she would die. She just had had enough. So the deal was that she would go into a hospital, and the Soviets would find some fictitious way to allow her to get an exit visa to leave, and she would then become the anchor sponsor for the rest of the family. Then they had to find a way to include this other non-nuclear family, and at the last minute they wanted all the relatives in Siberia, and some of them had married over the five years and it was just a long drawn out affair. But they did get out.